L-R Chris Barker, CEO - Spirit Healthcare, Richard Parker, Relationship Director – HSBC UK, Stephan Wood, Deputy Relationship Director – HSBC UK, Jo Tudge, Head of Finance - Spirit Healthcare at Asquith Surgery, managed by Spirit Healthcare. Spirit recently secured the management of Brownsover Medical Centre in Rugby and a diabetes education booking service across South London. The HSBC UK finance will support the delivery of these new contracts, providing the funding to enable the creation of 16 new jobs. The deal also allows Spirit to increase its range of services, including ‘EMPOWER’, a programme delivered in the community for the education of diabetes patients, and ‘CLINITOUCH’, software which enables clinicians to monitor and manage patients with a variety of long-term conditions in their own home. 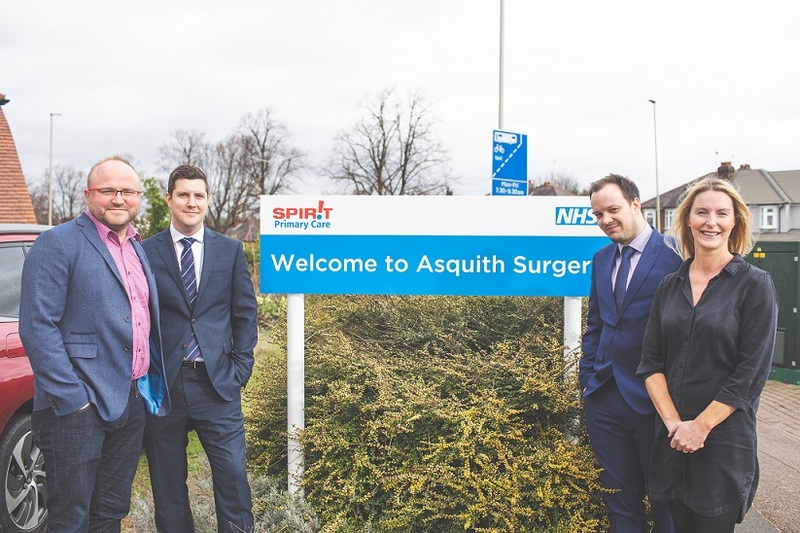 As a result of the funding, Spirit will be able to increase the number of patients it engages with from 50,000 to over 200,000 and aims to grow turnover from £10.2m to £18m by 2020.